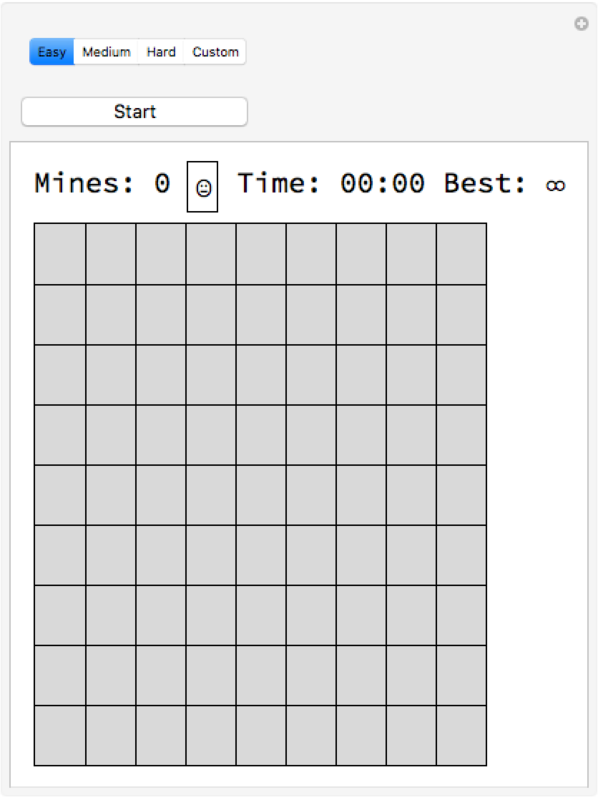 generates the classic game of Minesweeper. Click to expose a square, right-click to mark a mine. Find all the mines without setting one off.